I am currently working on a master bath renovation. Everything is white! Carrera Marble herringbone tile on the floors, alabaster for the walls and cabinetry, white Caesar stone counters and white linen upholstery! I would love to get ready here! Here is a sneak peek of what the bathroom will look like….. 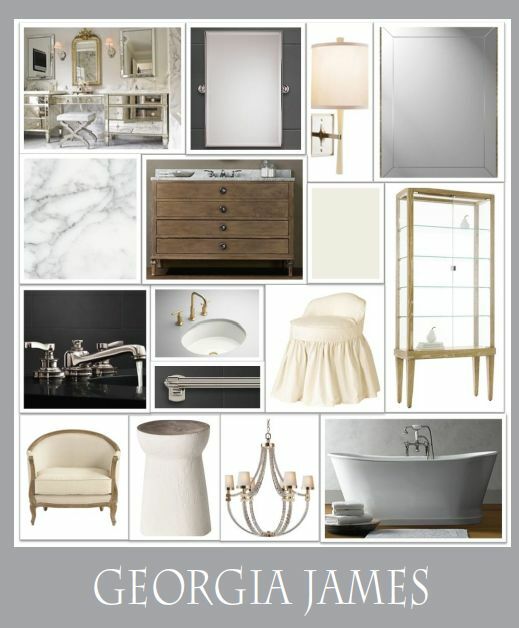 This entry was posted in Design and tagged design board, georgia james, Georgia James Creative, master bath. Bookmark the permalink.